What is the difference between Surround Sound and TACET Real Surround Sound? What is the advantage of Real Surround Sound? What is a music enactor and what makes him (or her) different from a classical tonmeister or sound engineer? Who will help me to connect and set my system correctly? Do I need a screen in order to hear TACET Real Surround Sound? What kind of player do I need? How do I have to set my player? Can I carry on using my old stereo amplifier? What sort of Surround amplifier do I need? How do I have to connect the player to the Surround amplifier? How do I have to set the Surround amplifier? What does "bass management" mean? How do I have to set up the old speakers? Isn't it unpleasant to hear music from behind? What resolution do TACET sound carriers have? What sounds better: BD, SACD, DVD audio or download? Multi-channel does away with dual-channel sound. The music does not just come from two channels (in front) as with conventional stereo, but from several channels (from all sides). It is this multi-channel function which makes Surround Sound possible. Blu-ray disc, SACD and DVD-Audio look like a CD but have a different structure and many times more storage capacity. In addition, they are not simply different sound carriers, but possibly lead to completely new performance and reproduction aesthetics. Multi-channel means, in general, that "information" embraces the listener from all sides. The entire audio space is used for the musical experience; the rear channels and speakers can also pass on spatial information (instead of music). The listener thinks he/she is sitting in a real concert hall. Spatial information like this can be important for an authentic impression. But the multi-channel feature offers more facets than "merely" spatial information in the recording (in several channels). One can leave it at that: with spatial information, but that would mean not using the new potential to the full. 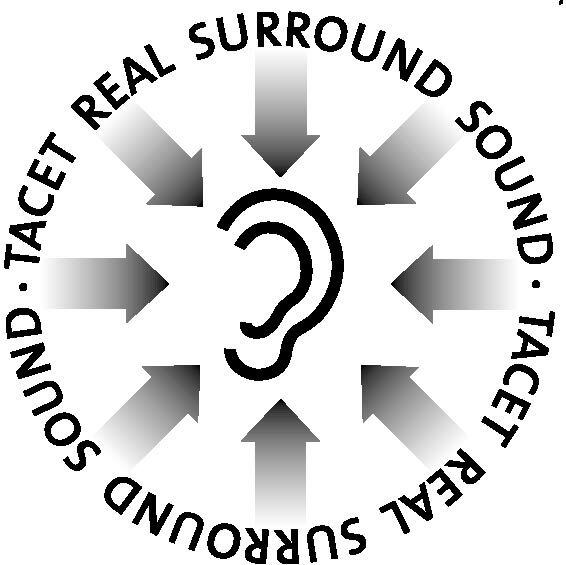 At TACET we distinguish between more conventional surround sound and "TACET Real Surround Sound". The latter means that all the musical information is distributed equally across all the channels, with musical information from each channel. The number of channels is five plus one. Each occupied channel offers music and not "just" spatial information (apart from a few deliberately chosen exceptions, for example with pure organ music, with no other instruments, where the space "accompanies" the playing, and is heard through several channels). The impression of space is also present in the recordings where there is music on each channel. In the opinion of lovers of TACET Real Surround Sound, a surround sound which makes full use of the front channels for music, but only uses the rear ones for atmosphere, is not "real" surround sound. In TACET multi-channel productions the listener sits in the middle of the acoustic event, in between the musicians. Real musical multi-channel in Real Surround Sound is more than "three-dimensional". The listener can now experience music as the musicians do themselves, where ideally each player listens to all the others. The tonmeister, sound engineer or music enactor discusses with the musicians where the listener should sit amongst the performers: right in the middle or elsewhere. For example, he/she can hear the soloists from the front (from left to right), and the orchestra plays behind him/her. The listener hears the orchestra as the musicians do, from behind. Alternatively, the soloists play in the front left, front right, back left and right back, and the orchestra can be heard from all sides; another possibility is for one group of solo instruments to be heard from the left and another from the right, each from front to back. This really works with TACET Real Surround Sound, which gives all the channels equal weighting: all the allocated channels are operated with music and use it creatively. Up to now, other forms of surround sound have often been merely extended stereo. Technically, sound-wise and artistically, TACET Real Surround Sound is the realisation of the old idea of the perfect recording. Music can now be experienced and understood more directly. TACET Blu-ray discs, SACDs and DVD audios in Real Surround Sound do not require special equipment; they can be played on all commercially available surround systems including video systems with Surround Sound. The slogan for the effect of these recordings is "effective and subtle". Music in TACET Real Surround Sound is staged music; more precisely acoustically enacted music. The listener sits in the middle of the acoustic event and hears the music from several channels, from several speakers. The music is not spread haphazardly amongst the channels, however, but is subject to the music enactor's plan right from the start! The quality of this plan depends on the creativity of the music enactor and his/her good taste and careful attention to the composer's intentions. A good enactor knows the secrets of the score. The enactor's musical dramatisation must not oppose the score but be justified by it. In addition, the multi-channel feature allows certain freedoms and experimentation with the enactment of the score. But to avoid any misunderstandings, the musicians determine the way the music is played, as they have always done. The multi-channel feature enables some aims of the composer to be realised on sound carriers for the first time. This is another reason why TACET Real Surround Sound is more than just an extension of stereo. Not only does it offer more spatial atmosphere but it is a planned introduction to a new listening dimension. It is a matter of enacting music. The music is given a stage all around the listener, by means of real multichannel sound, with musical information all the way around. This is what transforms standard multi-channel sound into TACET Real Surround Sound. What is a music enactor and what makes him(or her) different from a classical tonmeister or sound engineer? What is required nowadays is the new profession of music enactor (or director). It arose from that of the classical tonmeister, a sound engineer with creative ambitions and skills. Technology has been transformed; listeners have changed their standards; professions change. Tonmeisters have until now been the great unknown in the consciousness of most music listeners. In recent years, music critics have paid more and more attention to the work of the tonmeister. Through the acoustic enactment of music, musical reviews can now gain new subject matter and a new aspect to assess. Tonmeisters have to take care of many things. Which surroundings are the best choice for certain music? Where should which microphones be placed and pointing in which direction in order to capture the best sound? Which technical equipment is needed for this? And under what circumstances do the instruments sound best? How does one balance the volume ratios? How does one control the distances (foreground, middle, background)? What acoustic or pseudo-acoustic effects must be used? What about the echo? What sound picture is desired? The tonmeister supervises and takes care of the whole production. The artists have their own ideas of how the music should be played. The tonmeister ensures that the artistic intentions of the players are realised on the disc. But who takes care of the composer's intention? Do "illogical" or "uninteresting" sections of recording (takes) have to be discussed and redone if necessary? The tonmeister takes the place of the missing audience and hears every nuance; he/she is the animateur, even for the greatest artists, supervising the tempi, pitch, colour and volume - especially at possible subsequent edit points. This is in order that harmonious sounding cuts can be made, so that the preceding or following takes are not abruptly different. The tonmeister is the contact partner and commentator for the whole event, and must remove any disturbances, including sounds from the room or the equipment, coughs, rustling paper, creaking chairs. The different takes are then edited into the final version. Before and after the provisional final version, the tonmeister takes into account the musicians' requests for any change. The music enactor needs all this as a basic skill kit; moreover, a music enactor for TACET Real Surround Sound productions has additional duties. Extra thought has to be given to acoustic staging. How should the instruments or groups of instruments be distributed around the room? What sounds or mixtures of sounds should be produced through which channels? How should the all-round spatial atmosphere be included? What should the musicians try out additionally to give the greatest listening pleasure to the listener who is to subsequently sit in the middle? The listener will experience music on a higher plane and should be "carried along" - with his/her whole being. Staged music on multi-channel sound carriers by TACET provides the listener with greater gain and an undreamed-of extension of the musical horizon. Two examples are the Octet, Op. 20 and Quartet, Op. 44 by Felix Mendelssohn, played by the Auryn Quartet and the Minguet Quartet (DVD TACET D94). Never before could one hear this octet as if played by four(!) string trios(!). Wherever one sits and whichever direction one listens in, one always hears a string trio. The result is a wonderful balance of high and low instruments from each direction. If one mentally cuts the all-round sound into two equal halves, then one hears two string quartets regardless of where the cut is made. The most common cut which Mendelssohn made with this idea of enactment is one slightly to the right. The work has crazy combinations of parts. Looking at the score one can understand the complexity, and now one can follow the hasty sequences and confusion acoustically: by means of skilled staging (!) of the music via several channels! And in addition, the members of an octet feel like part of a large orchestra when compared with a string quartet. For the listener this effect cannot really be reproduced by a stereo recording: quite often the cellos and violas sitting next to each other sound muffled. The spread-out, circular positioning of the instruments, the unusual juxtaposition (violas and cellos are now seated opposite rather than alongside each other) and the multi-channel reproduction - with the listener in the middle - prevent that muffled sound. The composer's wishes are now made clear. Who will help me to connect and set up my system correctly? It's easiest, of course, if someone else, e.g. a professional from a specialist shop sets up the system and you don't have to do anything. In all other cases, one can hardly avoid the extensive consultation of instructions for use. However, we have prepared another great help for you as a service: the recording "More Power and Ideas - for Your Surround System" makes it much easier to become orientated. The reason is that this aid enables you to decide with your own ears - without measuring instruments - if everything is set right. No. All multi-channel sound carriers by TACET, whether DVD audio, SACD or Blu-ray Disc should be as usable as an ordinary CD. With some media (e.g. Blu-ray), there is screen information but they can be operated without it as well. There have been considerable changes in this regard over the years. Whereas a DVD audio player, or at least a DVD video player, was originally required in order to play the first DVD audios, the first multi-channel SACDs entered the market shortly thereafter. At that time, we recommended combination players, which play both formats. Meanwhile, there is also the Blu-ray Disc, and the High-Res download via the internet is yet another form of distribution that is starting to emerge. Some even try to keep or organise their entire music collection on hard discs or other forms of storage. The question concerning the player, however, is relatively easy to answer. Buy a system that can play as many formats as possible; best of all would be all conceivable formats. After all, what good is the best system if it can't play all the recordings you want to hear? Until now there were always systems that could read all the sound formats at the time of their development, and this will continue to be the case. The up-to date player is the universal player that can handle not only Blu-ray Disc, SACD, DVD audio and DVD video, but can also be attached from the outside to a computer, for example, as an external source. Make sure that the system is capable of surround. And please bear in mind: in order to be able to hear Surround Sound, you need, in addition to the player, an amplifier and up to 5 + 1 speakers (more information on this under "How many speakers do I need?"). With DVD audio and DVD video one must make sure that the player does not unintentionally perform a downmix on stereo, does not do anything undesired with the rear channels or even reproduce only a part of the channels. With SACD players you must only make certain that the stereo trace of the DSD signal or even the CD layer is not shown. The Blu-ray Discs from TACET (and many other manufacturers) offer a very simple possibility: red button of the remote = 5.1. yellow button = stereo. The disc automatically starts in 5.1 when it is inserted. No! Sorry! You could possibly use two more conventional stereo amplifiers, but you would run into difficulties adjusting the volume. Make sure that it has, at best, both 5+1 (or more) analog inputs as well as a digital input (HDMI) for Blu-ray and a digital input (Cinch) for the reproduction of DVD video sound. Then you will be equipped for all possibilities. When you have found/selected the signal, first set all channels to the same volume - without any time delay for any channel. Only adjust the volume and time delay if the speakers have noticeable differences. Dispense with additional settings like "Movie Theatre", "Disco", "Rock Concert", "Concert Hall" or similar settings. Here, too, our Blu-ray Disc B154 will help. The so-called bass management is concerned with the relationship between the bass channel on one sound carrier (e.g. Blu-ray) and the bass speaker in the system. By no means should the bass channel of the disc simply be connected with the ".1" input of the subwoofers. Instead, it must only be mixed in the amplifier with the other signals that must also, possibly, be connected to the subwoofer speaker. Can I carry on using my old speakers? If the two rear speakers are not identical to the front ones, that is no problem because with TACET recordings we take this into account in our sound staging. The quality of "rear speakers" is very high these days, quite adequate for high-standard surround sound reproduction. The effect is mainly provided by the multi-channel function. In order to enjoy the sound refinement of DVDs to the full, you need a system with more than two speakers. Surround systems with the 5.1 standard, i.e. 5 speakers plus 1 bass speaker (subwoofer) are the most common. TACET DVDs are designed for these systems. The bass channel on the recording, or the ".1 channel", has hardly ever been occupied with TACET so far. Nor is this necessary, because each channel can also transfer the lowest tones, down to 0 Hz. One can also almost always distribute the centre channel equally over the two front speakers, whether in the player or the amplifier. This means that it is definitely possible, without suffering any major losses, to enjoy the TACET recordings on a 4.0 system, meaning with only 4 speakers. It is also possible that you have a bass speaker (subwoofer) because the other speakers do not have sufficient bass reproduction. But this has nothing to do with the configuration of the subwoofer channel on the disc. The key word "bass management" will lead you to more information on this subject (see the question "bass management"). For artistic reasons, not all the channels are occupied in all recordings. For example, the special bass channel is often left empty. You still do not need to make any alterations, however. The designation "5.1" with TACET indicates that the recordings are completely compatible with the 5.1 standard. In an imaginary circle with you, the listener, sitting in the middle. The more evenly the speakers are spaced around this imaginary circle the better. If adjacent speakers are too close to each other or too far apart, this detracts from your perception of direction. However, the quality of the sound and the musical enjoyment will be roughly the same. With the 5+1 system the speakers do not have to be positioned at different heights. We can only discuss this subject theoretically here. When the first DVD audio in TACET Real Surround Sound appeared in the year 2000, there was a great deal of heated discussion over this. The excitement has meanwhile died down, and over the course of the years the circle of listeners particularly interested in this has constantly grown. They are delighted by the unprecedented aesthetic and musical possibilities of the new media. We therefore recommend that people not so much concern themselves with this question theoretically, but that they simply try out this kind of recording and ask themselves whether they like or not. The occupation with this form of presentation expands one's horizons - in the broadest sense. In some cases, it can even lead to the listener someday finding it unpleasant to have musicians "right in front of his/her nose". Music often has a very suggestive effect, stimulating the imagination; each listener develops different associations. Some like to close their eyes, dreaming and gazing in the distance - towards the front, for unlike the ears, the eyes do after all look forward. TACET Real Surround Sound can initiate a developmental process of listening to music that expands our conventional ideas of listening. Each separate channel of a TACET Real Surround Sound recording provides higher sound quality than the channels of a stereo CD! This is because stereo CD channels have a sampling frequency of "only" 44 100 Hz. TACET produces its multi-channel sound carriers for a sampling frequency of 96 000 Hz. And a 16-bit vertical definition (for stereo) has now become 24-bit. Sometime the playing equipment shows how many channels are occupied with music or spatial information and how high the sampling frequency of the music recording is. 48000 Hz is already the highest sound quality. Here, most professionals cannot tell the difference from the original. Whether audible or not, 96000 Hz goes far beyond this. Whether a still higher sampling frequency than 96000 Hz can be heard at all - and then only for very few listeners as a further improvement in sound quality - this question has stimulated much amusing and heated discussion. Independent investigations say no. If not even tonmeisters can tell whether they are hearing the analog original or the transformed digital version, then a further doubling of the sampling frequency won't make any difference. We prefer not to get involved in this discussion. The crucial factor is the care and creativity which go into the recording, the mastery of the musicians, and the knowledge and skill of the musical enactor about the secrets of Real Surround Sound. In the accompanying booklet with every TACET DVD-Audio production, the musical directing policy for the particular recording is explained visually and in writing. This doesn't exist anywhere else. TACET also shows clearly and in large print where there is TACET Real Surround Sound, and has created its own unmistakeable symbol for this. This is in order to prevent misunderstandings and to make it known that it is really the so hard-won Real Surround Sound. SACD: 1 bit (DSD). Transfer usually from the PCM with the resolution present there. DVD audio: 24 bit / 96000 Hz, with few exceptions from the early days 24 bit / 48000 Hz. As far as listening quality is concerned, these sound carriers can't be beat. They all sound equally excellent. Whether the customer decides in favour of one sound carrier or another depends on what system he/she has and whether he/she wants to hear 5.1 or stereo. We recommend that customers buy equipment that that play as many of the contained formats as possible. What good does the most beautiful system do me if my favourite company X releases a recording by my favourite artist Y tomorrow on a medium that I can't play? 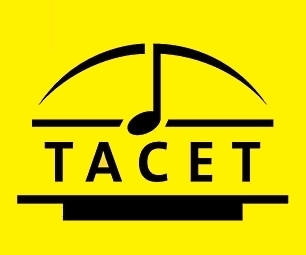 TACET is a musical producer and a pioneer of productions in Real Surround Sound. TACET is also the brand name for Blu-ray Discs, SACDs, DVDs, CDs and LPs. TACET followed a policy of multi-channel musical DVDs right from the start, not just "extended" stereo. The company has been working with creative Surround Sound since 1997. 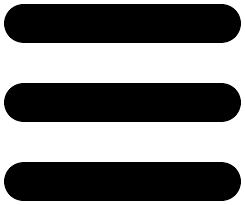 The first multi-channel production was released in 2000, which is not without a certain symbolism. TACET was founded in 1989 in Stuttgart-Bad Cannstatt. From the very beginning, the thinking behind TACET was innovative and "two-track" - in other words, both musically and technically new. TACET produces music for the most discerning of listeners: on CDs, LPs, Blu-ray Discs, SACDs and DVD audios. This does not mean the music is produced for a minority of classical music fans: on the contrary, the circle of enthusiasts grows steadily - because TACET productions are a way of rediscovering music. With all their fire, with all their sensual charm - and in their natural and staged fullness. TACET means audiophile quality products with ecstatic reviews from the musical press, radio and newspapers. The man who "calls the tune" is not a manager or CEO, but the owner and founder himself: Andreas Spreer, musician and much acclaimed tonmeister graduate. He is the recipient of many awards, including the Certificate of Honour of the "Preis der Deutschen Schallplattenkritik" (German Music Critics' Award). In terms of sound, TACET sometimes pursues various paths. Whereas the "Tube Only" series on LPs restores the warm, natural sound from the early days of stereo recording, further developing it with extremely economical means (but with the most select ingredients), TACET Real Surround Sound is turning towards the future of sound recording on Blu-ray Disc, SACD and DVD audio, setting new aesthetic and musical standards of excellence. Even though TACET, with LPs and CDs, is always striving towards the "most natural" result, and can sometimes realise this - surprisingly - with a minimum of technical expenditure and effort, the recording is always created with a maximum of conceptual considerations - and with the use of the best technical equipment. TACET's unconventional thinking, not only with the multi-channel sound carriers - in the field of vinyl, one need only recall the backwards LP "oréloB" - together with enormous skill leads to sonic results and musical events that both astonish and utterly convince listeners. TACET stands for unusual artistic concepts, outstanding musical personalities and audiophile sounds. The composers' intentions are supported by the individual recording technique, and the musicians' ideas are clarified. You can experience this on the multi-channel sound carriers even more clearly and intensively than on the already highly transparent and sensuous sounding TACET CDs. The TACET sound is basically sensuous and subtle, and it is even more effective on the sound carriers in TACET Real Surround Sound. Explanations have been provided to the best of our knowledge. No liability of any kind will be accepted..